"Prenups" are a taboo topic among couples planning to wed. People thought - and some still think - that if you craft a document outlining the division of assets upon divorce, you’re already planning divorce. Up until the latter half of the 20th century, prenuptial agreements weren’t even enforceable by law! 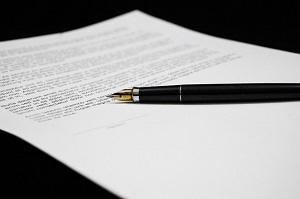 Today, the courts and the general public see prenuptial agreements in a different light. Couples entering into marriage know that a prenuptial agreement is simply a way to maintain the quality of life they had before marriage. And with the divorce rate at an all-time high, many couples understand that while divorce is never planned, it still sometimes happens. In the event that it does happen, prenuptial agreements will be held up to a lot of scrutiny from spouses and attorneys hoping to deem them invalid. Because of this, any couple wishing to create a prenuptial agreement should find a qualified attorney to help them with it. In many instances, couples who have already wed but did not establish a pre-nuptial agreement, have the option to file a post-nuptial contract. What Should I Include in a Prenup? Division of individual and marital property. If there is property that you owned prior to marriage, you can exclude that property from division during a divorce. Distribution of assets. Deciding how the finances will be divided. Distribution of debts. Determining which spouse will pay off which debts accumulated during the marriage. A prenup can also state that any debts brought in by a spouse stay with that spouse in the event of divorce. The rights of each spouse. In regards to buying, leasing, selling, or controlling property (such as automobiles). Alimony. Amounts due to each spouse and the duration they will be paid. Life insurance. A spouse’s, or both spouses’, right to death benefits within a life insurance policy. While there aren’t a lot of stipulations that cannot be included in a contract, New York does provide some regulations. Prenuptial agreements, under New York law, cannot require one spouse to commit a crime and cannot prevent either spouse from reporting a crime such as abuse. The prenuptial must be established in writing to guarantee authenticity. There must be a full and honest disclosure of all assets between the two parties. The agreement must be consider fair by both parties. It must be publicly executed with strict adherence to its acknowledgement, with both parties in its presence at the time. The agreement cannot be an affront to common law or decent behavior (failure to pay child support, willingness to abandon a child, etc.). Having a prenuptial agreement in place does not cast bad luck onto your marriage nor does it mean you don’t trust your partner. It’s a good idea speak to a lawyer as a couple and decide together what is best for your future. The Law Offices of Paul A. Boronow, PC, can alleviate any doubts you or your significant other may be experiencing. Contact a New York family law attorney at our office at (516) 227-5353 to discuss prenuptial options. Can I Create a Prenup After the Wedding? More questions about Prenuptial & Postnuptial Agreements? Nassau County Prenuptial & Postnuptial Agreement Attorney Disclaimer: The legal information presented at this site should not be construed to be formal legal advice, nor the formation of a lawyer or attorney client relationship. Any results set forth herein are based upon the facts of that particular case and do not represent a promise or guarantee. Please contact an attorney for a consultation on your particular legal matter. This web site is not intended to solicit clients for matters outside of the state of New York.